Will I go to Jail for Virginia Reckless Driving? One question on many people’s minds when they’re facing a Virginia reckless driving charge is whether or not they’re going to go to jail. 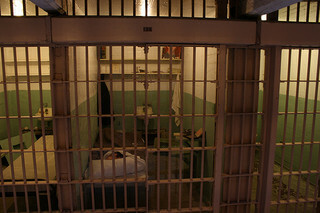 A lot of attorney websites and marketing materials talk about JAIL, JAIL, JAIL. The best advice I can give you is to talk with a reputable, local, experienced traffic attorney who practices in the court where your ticket is pending. That’s the person who can best answer the question of whether or not you’re looking at jail time. I can tell you that in most cases that I handle for reckless driving tickets around the Fredericksburg area, jail time is not a realistic threat. It is a fairly unusual consequence for a reckless driving ticket. Although it is technically allowed in any case of reckless driving, the judges have a lot of discretion in determining who goes to jail and who doesn’t. Unless your case is a high-speed case or has other bad facts, jail is not normally a risk. The problem is that you don’t know where your case falls on the spectrum and it depends on the local court and the judge where your case is being handled. That’s why you need to talk with a local, experienced traffic attorney in that court, to find out if your case is a case that’s considered at risk for jail in that court. Attorneys who use scare tactics are simply scaring you into hiring them. I don’t do that. When people call me to find out about if they’re at risk of jail, I will tell you right up front whether or not I think there’s a risk of jail or not in your Virginia reckless driving case.